Have you ever had a dream in which you were aware you were dreaming? If so, you've had a lucid dream. While some people commonly experience lucid dreams, many have never had one or at least have not remembered it. If you're interested in lucid dreams, it may help to understand how they are different from ordinary dreams, reasons why you might (or might not) want to experience them, and how to start lucid dreaming tonight. The term "lucid dream" was coined by Dutch writer and psychiatrist Frederik van Eeden in 1913 in his article "A Study of Dreams." However, lucid dreaming has been known and practiced since ancient time. It is part of the ancient Hindu practice of yoga nidra and the Tibetan practice of dream yoga. Aristotle referred to lucid dreaming. The physician Galen of Pergamon used lucid dreaming as part of his medical practice. While scientists and philosophers have long understood the practice of lucid dreaming and its benefits, the neurology behind the phenomenon has only been examined in the 20th and 21st centuries. A 1985 study by Stephen LaBerge at Stanford University revealed that, unlike in most dreams, time perception in lucid dreaming is about the same as in waking life. Electroencephalograms (EEGs) indicate lucid dreaming starts during the Rapid Eye Movement (REM) state of sleep, but different parts of the brain are active during a lucid dream than during an ordinary dream. Skeptics of lucid dreams believe these perceptions take place during a brief period of wakefulness rather than a stage of sleep. There are excellent reasons to seek lucid dreams and equally good reasons you may wish to avoid them. Some people find lucid dreaming frightening. A person may become more aware of sleep paralysis, a natural phenomenon that prevents the body from harming itself during dreams. Others feel "dream claustrophobia" from being able to observe a dream but not control it. Finally, persons suffering from mental disorders that make it difficult to distinguish between fantasy and reality may find lucid dreaming worsens the condition. On the flip side, lucid dreaming may be successful in reducing the number and severity of nightmares. In some cases, this is because the dreamer can control and alter nightmares. Others benefit from observing a nightmare and realizing it's not waking reality. Lucid dreams may be a source of inspiration or may present a means of solving a problem. Recalling a lucid dream may help a composer remember a song from a dream or a mathematician recall a dream equation. Basically, a lucid dream gives the dreamer a way to connect the conscious and subconscious mind. Another reason to lucid dream is because it can be empowering and fun. If you can control a dream, the sleeping world becomes your playground. All the laws of physics cease to apply, making anything possible. If you've never had a lucid dream before or are seeking to make them more common, there are several steps you can take. ​It's important to allow enough time to have a lucid dream. Dreams during the first part of the night are mostly related to memory and the body's repair processes. Dreams that occur near the end of a good night's sleep are more likely to be lucid. Experiencing lucid dreams isn't particularly useful if you can't recall the dream! There are several steps you can take to remember dreams. When you first awaken and try to recall a dream, keep your eyes closed and don't change position. Keep a dream journal and record dreams as soon as you awaken. Tell yourself you will remember dreams. MILD stands for Mnemonic Induction to Lucid Dreaming. It just means using a memory aid to remind yourself to be "awake" during your dreams. You can repeat "I will know I'm dreaming" before falling asleep or look at an object before sleeping that you have set to connect with lucid dreaming. For example, you can look at your hands. Think about how they appear when you're awake and remind yourself to look at them in a dream. 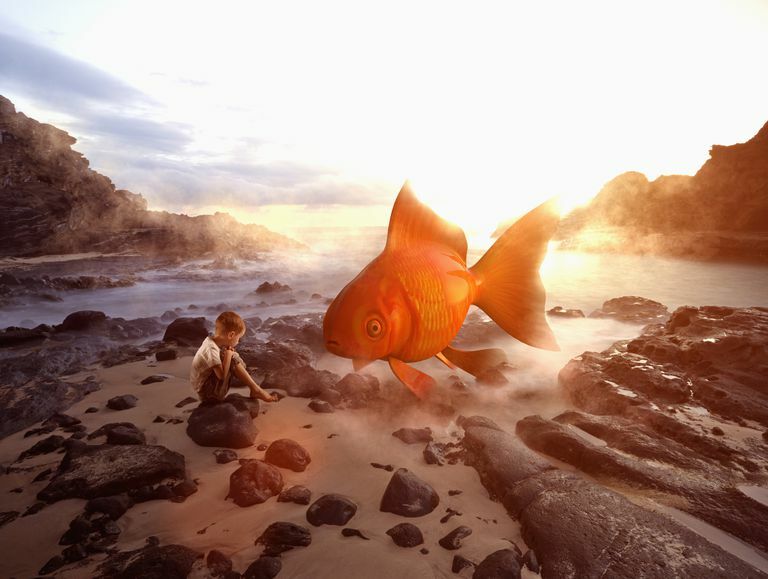 Reality checks are used to tell lucid dreams from reality. Some people find their hands change appearance in a dream, so if you look at your hands and they are strange, you know you're in a dream. Another good reality check is examining your reflection in a mirror. If a book is handy, read the same paragraph twice. In a dream, the words almost always change. Lucid dreams accompany REM sleep, which occurs about 90 minutes after falling asleep and approximately every 90 minutes afterward. Immediately following a dream, the brain approaches wakefulness, so it's easier to wake up and recall a dream right after you have one. You can increase the odds of remembering a dream (and give yourself another reminder to be aware of dreaming) if you wake yourself up every 90 minutes. You can set a regular alarm clock or use a device called a light alarm that raises light levels after a set amount of time. If you can't afford to disrupt your sleep schedule this much, simply set your alarm about 2 hours before you normally would wake up. When you awaken, turn off the alarm and drift back to sleep thinking about one of your reality checks. If you have trouble lucid dreaming or recalling dreams, don't beat yourself up over it. It takes time to develop lucid dreaming habits. When you have a lucid dream, relax and observe it before trying to control it. Try to identify any steps you might have taken that helped the process work. Over time you'll experience lucid dreams more often.